Some of you may already know that I home school our kids. There are a number of reasons we have chosen to go this route, but in the interest of saving time and not boring you, I won’t go into them in too much detail right now. One big reason why we pulled our kids out of school was because one of our children was exhibiting “A.D.D.-like” behavior. His teacher at the time told me she “didn’t want to scare me” but that she saw many signs pointing to Attention Deficit Disorder in our child. Now I knew this child was squirmy and couldn’t have cared less about sitting in circle time or focusing on a specific task. But I also realized he was in kindergarten and was a boy. And I truly believe not a lot of boys that age want to be doing those things, either. This poor boy’s spirit was being broken every day after failing time and time again to do what the teacher was asking of him. After much consideration, we decided to pull our two school-aged kids out of public school and see if we could meet their needs better at home. Our other son was having the opposite problem, and was bored out of his mind in class. After teaching our kids for a few months, I got to see first-hand the fidgety-ness, the tapping of pencils, the unfocused learning, and the constant redirection our son struggled with. Along with these things, he suffered from terrible asthma and allergies. He was on 5 medications from November through June just to keep him “functional.” He would snore so loud at night,we heard him across the house. His nose was constantly stuffed up and we had many nights of Albuterol treatments. We had emergency room visits due to his asthma and he had eczema over his arms and legs. And then, about a year and a half ago, after Superman was finally diagnosed with Celiac Disease, we found great help through a homeopathic doctor. We discovered our son was allergic to dairy and soy. This doctor informed us if we cut dairy out, we would most likely be able to drop all his medications. I was skeptical, to say the least, but willing to try anything. Shortly after this, we decided to start eating a Paleo diet and cut out all grains, dairy, legumes and sugar. The results were astounding. Our son, our dear boy who had been suffering since birth from a myriad of breathing and skin issues, and had had his adenoids removed (which made no difference) and whose conventional doctor suggested surgery to widen his nasal passages, was off ALL his medications! For the first time in his life, he made it through the whole winter season without one asthma problem…without any allergies…his snoring went away, his eczema went away…and guess what? He started to be able to focus! It really was a miracle. Now, don’t get me wrong. This dietary change didn’t turn our son into some perfect angel child with a yearning for academia. He will always be my little skateboarding musician. But boy, oh boy, is it sure much more of a pleasure to teach him! He can actually think clearly and not look like he’s struggling just to connect two thoughts. So, that’s my story of full belief in this lifestyle. Not only did Superman improve dramatically (that’s a story for another day), but our son, who I thought was just “born with” those issues, was healed! It’s now been a year and a half, and he has still not had an ounce of allergy meds or asthma meds since we changed his diet. It’s amazing. And soooo worth it. Some people feel this type of dietary change is just too much to handle. Why live, they ask. Well, I say, why live miserably? Sure, we’re all going to die. But what kind of quality of life do you want? I would rather live to be 75 and feeling darn good physically then live to be 95 and struggling mentally and physically. To me, it’s all about quality of life. I want to know I treated my body the best I could, and when the good Lord wants to take me, I’m good with that. I just want to feel healthy and clear-in-mind for as long as I can. And my son is living proof that making these dramatic changes is so worth it! *Disclaimer: Although I truly feel this diet would benefit nearly anyone, I also understand it may just be too much for some. And not everyone may experience “complete healing” like our son did. But, I truly believe even little changes can go a long way…buying quality meats and produce is a huge step in the right direction. I always tell people, “Try it for 30 days. If at the end of 30 days, you don’t notice a dramatic improvement, you can just go right back to the way you were eating.” But I’m pretty sure that won’t happen. Here’s a great program to help you get started: Whole30. Check it out and see if it’s up your alley. Love reading this story! We kept our daughters (now 2 1/2 and 4) Primal/Paleo because of these same problems. We accidentally discovered (a year and a half ago) that this way of eating solved the problem and they have been this way ever since. Congratulations on your success! Wonderful results! We’re trying this right now, but it’s SO challenging with influences outside the home – not just school, but friends, extended family, church gatherings…ugh! How long before you saw results? I’m not looking for a quick fix, but I’m TYRING to get him 100% before ruling out any hope. I wishI could keep him in a bubble for a month, just to see what happens! I know–it can be so frustrating. I had to be REALLY strict for the first 30 days. I really wanted to know if it was going to work, and even allowing a little bit of dairy would have messed up the experiment. lol That first month, any time we went somewhere, I didn’t allow him to have ANY dairy or soy, no matter what the circumstance. When we went to someone’s house, or church I explained to them that he wasn’t allowed to have dairy, and that it was very important. After that first 30 days, when I saw such wonderful results, I was pretty strict for a few months. Over the course of that period of time, I had many conversations with him, pointing out to him how much better he felt, how he didn’t itch, how he wasn’t getting yelled at all the time, etc. Then, I gave him some leeway. I now allow him to always choose when we are at someone’s house or a party or whatever. He is in control of his own body, and I can’t force that on him, especially as he gets older. He has gotten to the point where he will rarely pick dairy, because he knows how much it affects him. The hardest food for him to resist is pizza, but surprisingly, he has actually even held strong on that a couple times! I always make sure to “reward” him with something to replace the food he’s not getting so that he knows it’s worth it. He was lax over the last couple weeks, and has had a stuffy nose, and his eczema has come back a bit. He immediately said, “Mom! It wasn’t worth it. Next time I’m not going to eat the dairy.” I love hearing words like that! Try not to get discouraged–but I would try really hard to cut out what you think are the offending foods for a solid 30 days, and then figure out a maintenance plan depending on what type of results you see. Don’t be worried about offending people–they will get over it. It’s worth it in order to see what’s going on with your kiddo! Hope that helps! My naturopath got to the root of a lot of my belly problems/complexion problems/etc. It required cutting out dairy, gluten, soy, nuts, and eggs. I have people – both relatives and strangers – ask “Oh my goodness, what do you eat?? ?” I have people refuse to have me over for fear that they can’t feed me. I have people say I shouldn’t be allowed to call it an allergy, because eating it won’t kill me. But do you know what? The health issues these things cause me, to me, make them an allergy. It is worth it not to eat what is making us sick, not covers up the symptoms with drugs and corrective prescriptions. My family, including my 16 year old daughter and my 12 year old son, just finished a Whole 30. The results for all of us are nothing short of miraculous. I feel better than I have in 20 years. My oldest son, now 21, had the exact story as your “Superman”, and I pulled him out of school for the same reason. 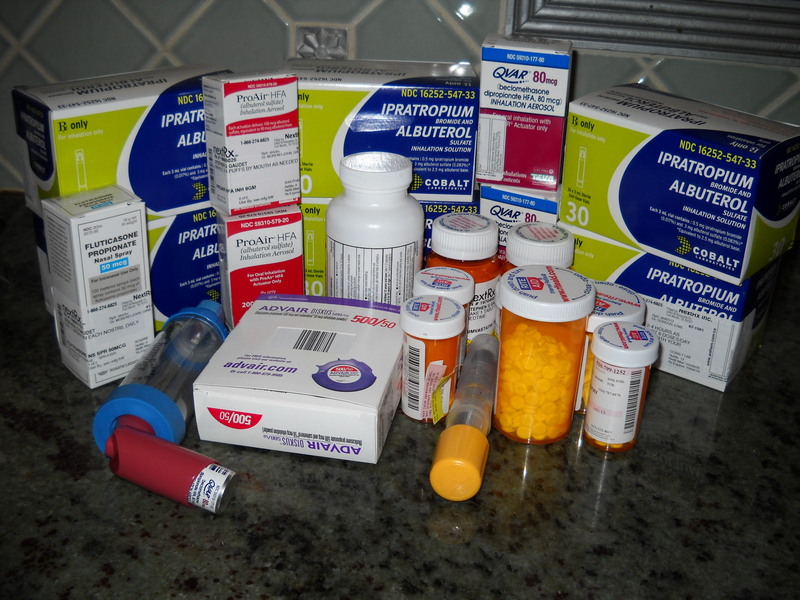 Except, we went through 1 1/2 of medication for his “problem”. I am happy to say, that even though he doesn’t follow the diet precisely, he knows when he starts having problems to get back in line. And the best part, after years of hearing his mom preach about food and nutrition, he was able to go back into school 6 years later, graduated from High school and is now attending culinary school. Yay! That’s awesome, Jean! Congratulations!